We’re all about family – It’s in our name! At Perry Hall Family Dental, we make you feel right at home from the moment you walk into our office. We know you want help to maintain your oral health, and we’ll deliver everything you need to not only maintain, but to enhance your smile as well. We understand the science behind a variety of dental complications, so we can get to the root of the problem and solve issues once and for all. That’s why we’re different. We’re committed to education and evidence, and our team ensures you understand everything about your treatment. We explain every step in detailed, easy-to-understand language. Our friendly team can show you how fun a visit to the dentist can be. 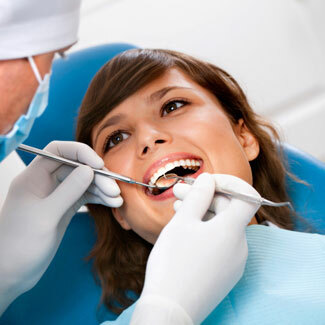 With years of experience and a passion for healthy mouths, we seamlessly combine professionalism with personality. Our office atmosphere is comfortable and relaxed, and we’ll find your unique smile — guaranteed. Let us deliver results you don’t just see — you feel. Dr. Andrew Fried has practiced dentistry in Maryland for eleven years, and is proud to bring quality dental care to the Nottingham, Perry Hall, White Marsh, and Belair communities. Our skilled team at Perry Hall Family Dental is ready to welcome you to our family, and that’s something we can all smile about. Learn how our friendly, smiling faces can change the way you see your own smile. Call us today (410) 256-6760!